← Wild ARC’s 20th year brings in a record breaking 3,066 wild patients! Habitat for Humanity presented to Council, at the regular Council meeting held on January 15, 2018. In her presentation to Sooke Council, Yoland Meijer gave an overview of how the Homeownership Program works, as they may have a prospective new Habitat townhome project in Sooke, at 2008 Murray Road. Meijer noted they are a home ownership model who work with community partners to help build homes to break the cycle of poverty. Their chapter is one of a bigger charity organization that operates throughout the world. The first thing they need to do is secure land. With land prices as they are, it’s been hard to do this. They have put an offer in at the lot at 2008 Murray Road, and are waiting to see what happens with that. Once land is secured, their next step is to fund raise to build the homes. They usually do this through public fund raising and reaching out through the community itself. Once they funds are secured, they find qualified families. Included in the criteria is that they have not previously owned a home, and that they are Canadian citizens for a minimum of two years, live in Victoria region, and have at least one child under 10. They need to be living in need, and need to be able to afford the mortgage, taxes, and maintenance. 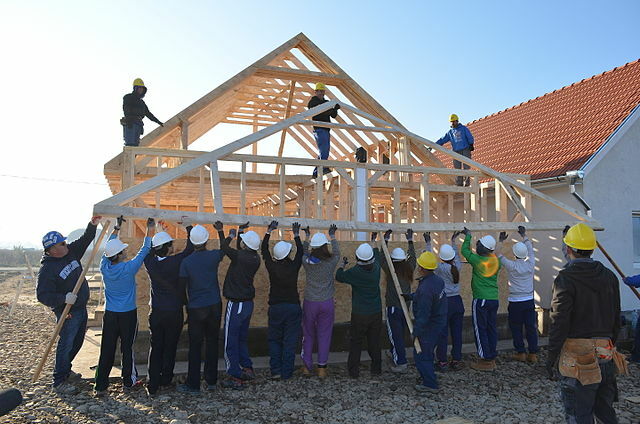 Once families are identified, Habitat for Humanity works with the family to build the home. Each family has to contribute 500 hours of sweat equity. At the end, they purchase their home at the full market value. Habitat for Humanity becomes the mortgage holder. There is no interest, and no down payment is required. The mortgage payments received by Habitat for Humanity are then re-invested forward to help the next family. Meijer noted they have not yet built in Sooke or the West Shore. This project, if realized, would become the first one in this area. She also noted that at this point, the average condo in Sooke now costs about $531,000. They have put a bid in on 2008 Murray Road, and they hope to put in 12 affordable townhomes in the core of Sooke. If they get this lot, (and they will know in about four to eight weeks) there will be variances requested from the District. 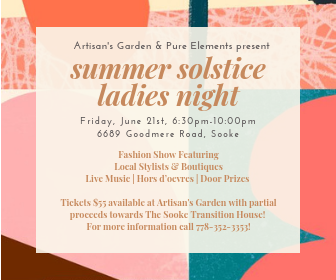 This presentation was a formal heads-up, that they hope to be coming to Sooke. Present: Mayor Maja Tait, and Councillors Brenda Parkinson, Bev Berger, Ebony Logins, Rick Kasper, Kerrie Reay, and Kevin Pearson. The agenda and video is on the District’s website, available here. the average condo in Sooke now costs about $531,000?? ?